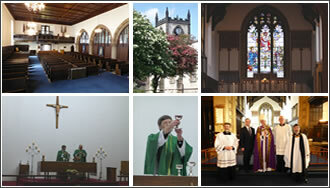 GOOD FRIDAY 10am ALL SAINTS – Stations of the Cross, followed by Hot Cross Buns. HOLY SATURDAY 7pm The Easter Vigil Ceremonies and First Mass of Easter followed by Champagne & Strawberries. Every Monday 6pm – 6.45pm.